The Traffic Logix SafePace® Evolution 18 FM offers variable messaging with extra large 18” LED digits for even better visibility. The versatile Evolution 18FM variable messaging sign offers the ability to display custom text, graphics, or extra large 18” speed display for enhanced visibility from further distances. 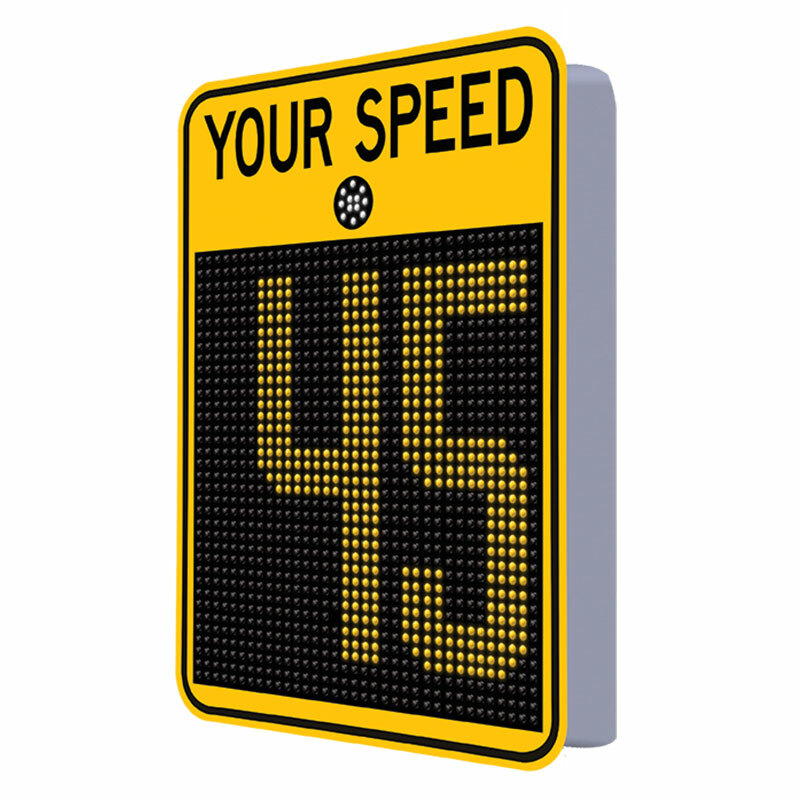 The flexible sign offers the ability to display either driver speed including speed activated digit color changes or your choice of driver responsive text or graphics on the full matrix speed display sign.